Actor Jang Geun Suk won the Popularity Award of Baeksang Arts Award again. On the 48th Baeksang Arts Award to be held on April 26th, 2012, Jang Geun Suk, Gong Yoo and Shin Ha Kyun win the Most Popular (Male) Award in motion picture category. 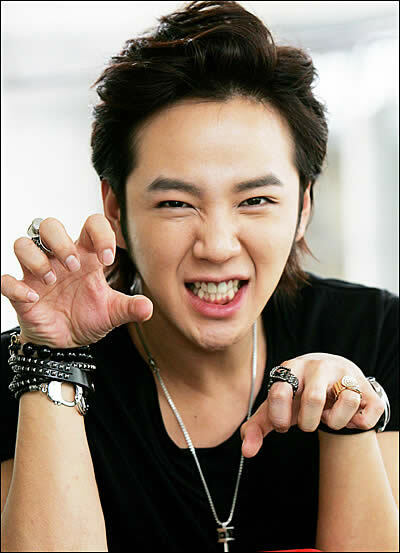 Jang Geun Suk of “You’re My Pet” grabbed the 49.4% of high vote share to rank 1st in popularity. This is not the first time Jang Geun Suk won the popularity award. In 2010, Jang Geun Suk won the Popularity Award through movie “The Case of Itaewon Homicide”. In 2008, he also won Best New Actor Award through the movie “The Happy Life”. This is the 3rd time Jang Geun Suk won the Baeksang Arts Awards. Jang Geun Suk is currently co-starring with SNSD’s YoonA in TV series “Love Rain“. On May 30, 2012, Jang Geun Suk will launch a Japanese studio album “Just Crazy”. From July 2012, he also begins the Asian tour which starts from Seoul, “The CRI Show 2012”.